Back in the early 1900�s, Miss Rittenella , born in the District of Terry, St. Ann, Jamaica, met and married George Martin from Breadnut Hill. They had two children, Sarah Martin and Roy Martin. Sarah who never married had one son, Audley Mesquita. In the early 1970�s, Miss Ritty divided the land and gave it to her two children, Sarah and Roy. Unfortunately, Sarah died when her son was very young, so Miss Ritty raised her daughter�s one and only child, Audley. Miss Ritty gave Audley the beautiful piece of land that is at the entrance of Paradise. Miss Ritty would pick prize winning coconut from this very land and carry it to the Denbigh Market in Clarendon. At age 14, Audley decided that he was ready to build his home. God blessed me with the pleasure of meeting my grandmother-in-law and mother-in-law, Miss Ritty, in April 1997, I could see when we met that the eyes I had many times looked into�that look of love and understanding, the same eyes of her grandson, who to me looks just like his grandmother. 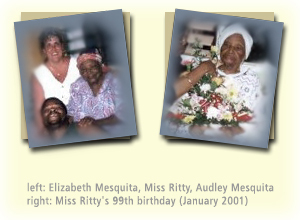 Miss Ritty was Audley�s mother, father, sister, brother and grandmother. 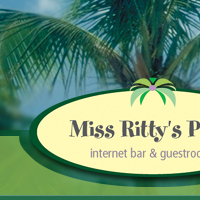 After meeting Miss Ritty, I knew deep in my soul that she would be so proud and happy to have this place named after her as Miss Ritty's Place. 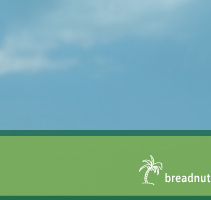 Miss Ritty's Place is located in Breadnut Hill. It is 2 miles up in the hills of Ocho Rios. We are only a stones throw in walking distance from Fern Gully. From our place, you have a view of the Sunset Jamaica Grande Resort & Spa Hotel. We are the last left turn off before entering the Fern Gully at Harrisontown. We have finally completed construction downstairs and we offer two guest rooms (one has bathroom in suite and second has bathroom just outside of room available for rent. 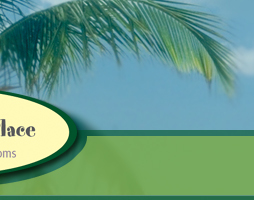 Please feel free to email us for rates and more information.